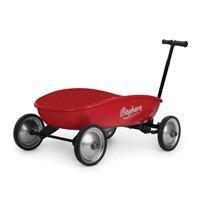 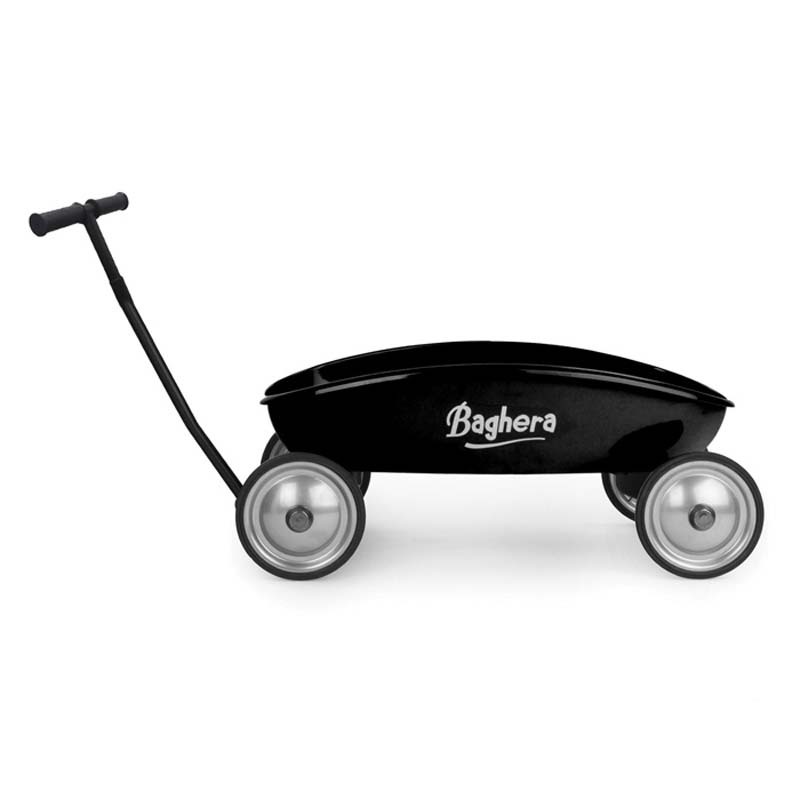 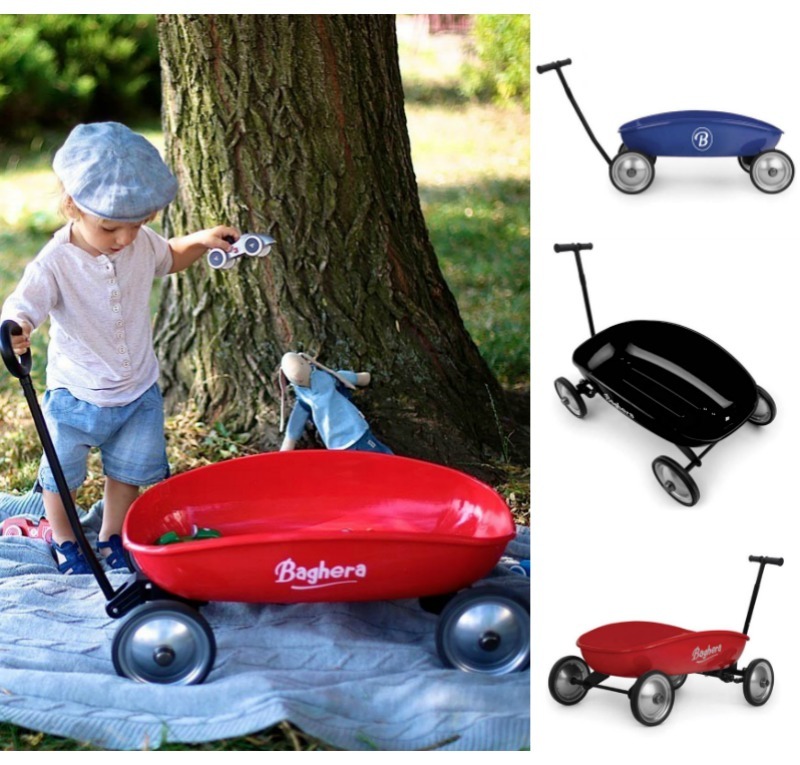 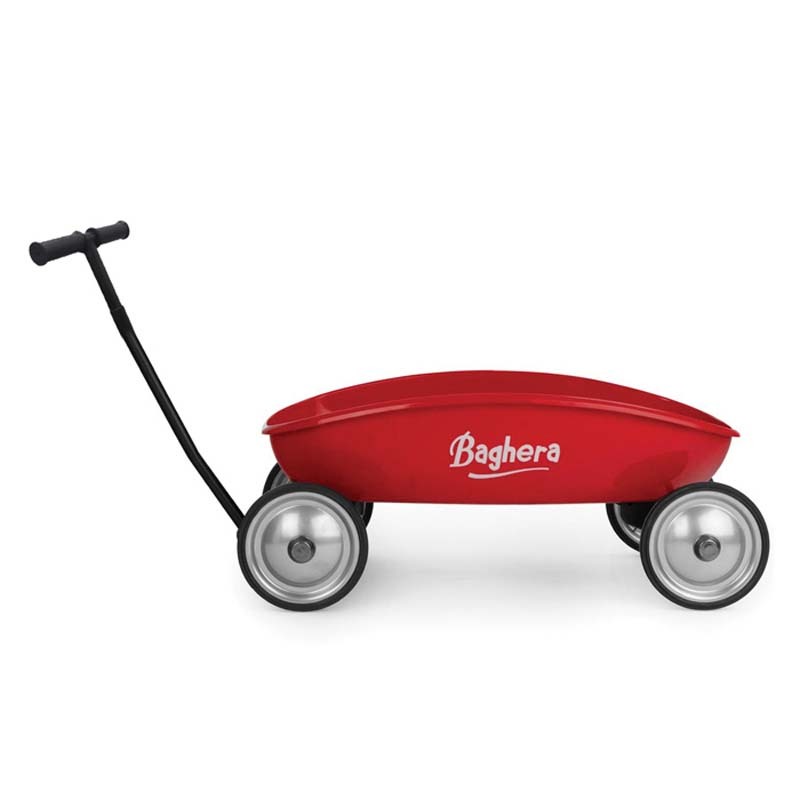 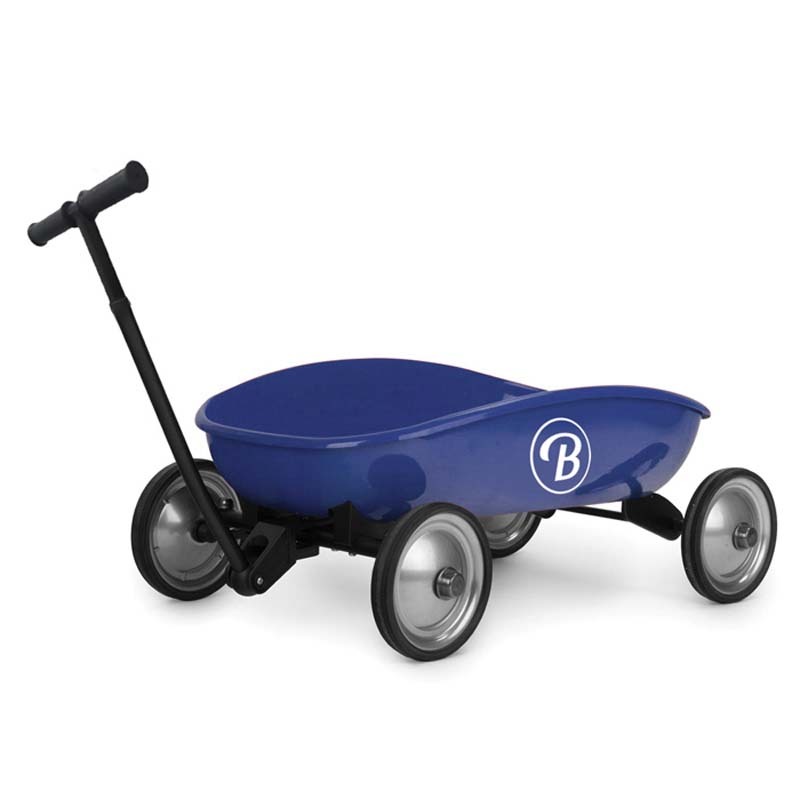 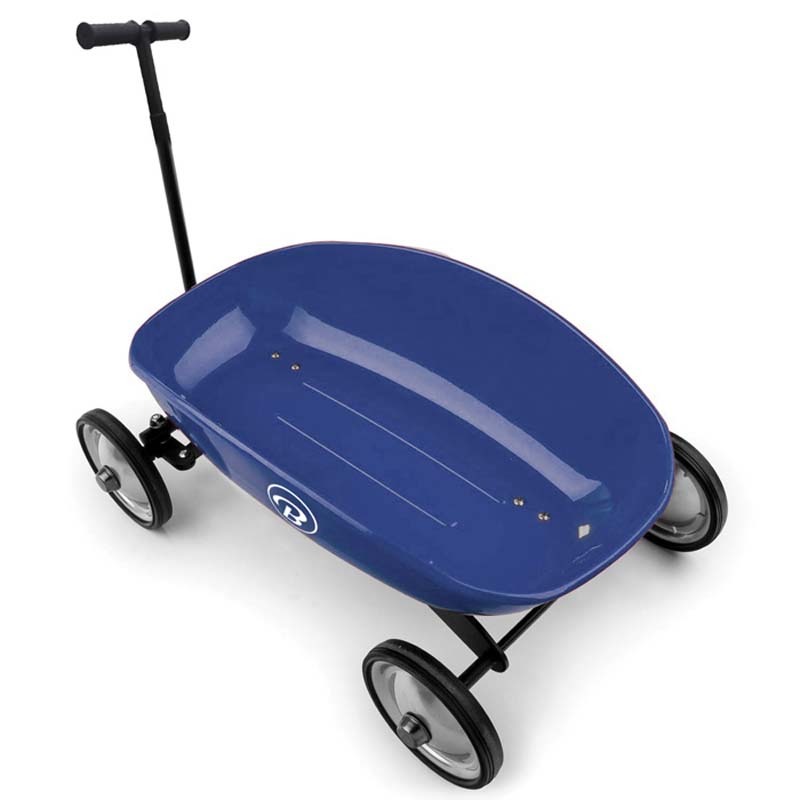 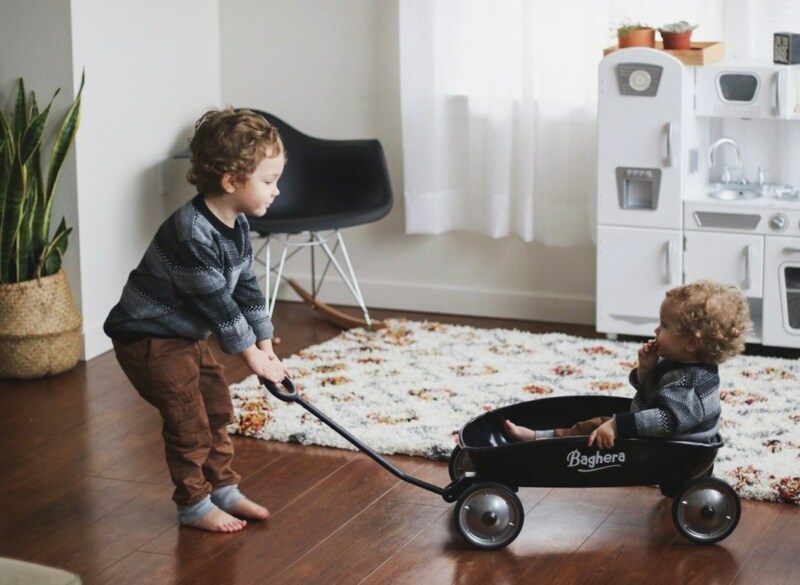 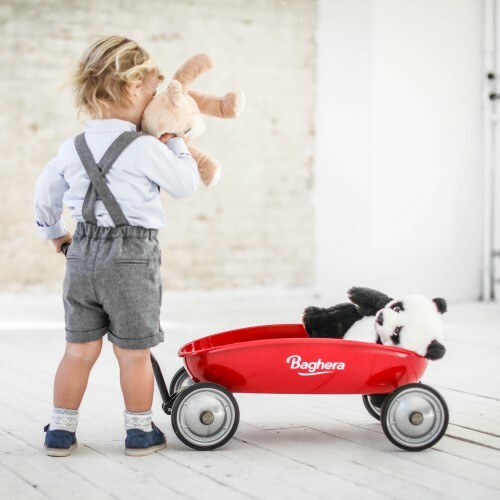 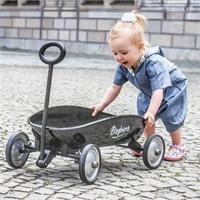 This large metal wagon is practical and light to accompany your child throughout all of his outings. Set to be a family heirloom ! 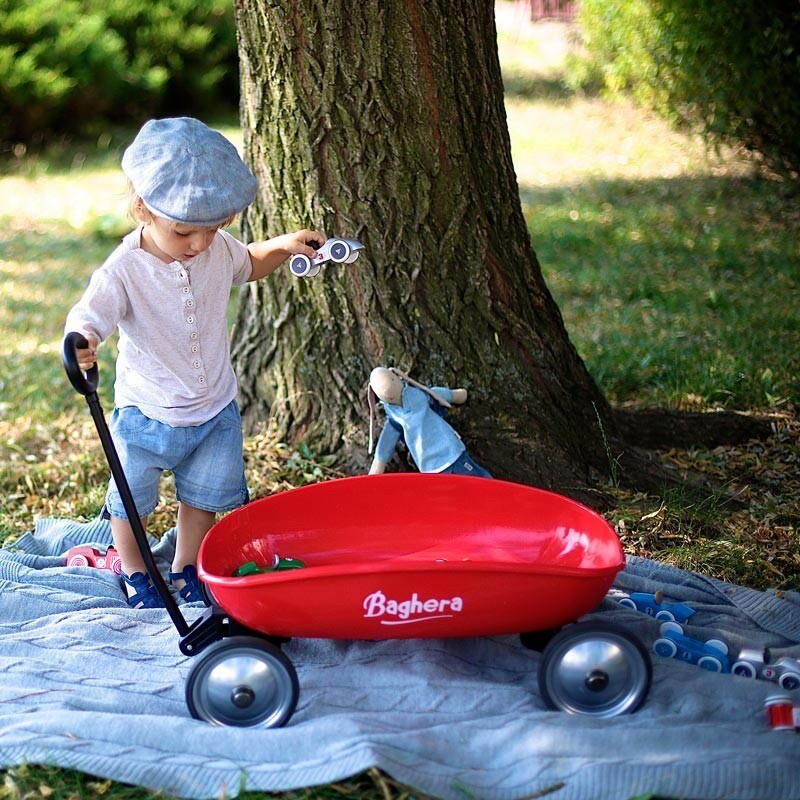 Perfect for transporting toys, picking up leaves, or carrying around teddy, it is very stable thanks to its silent wheels and functional steering. 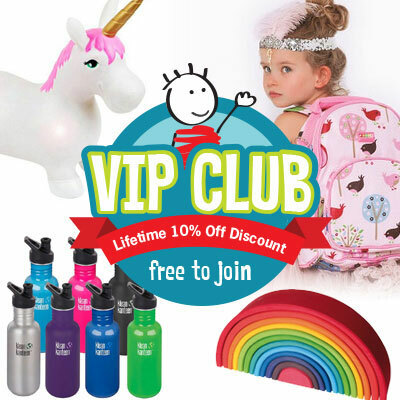 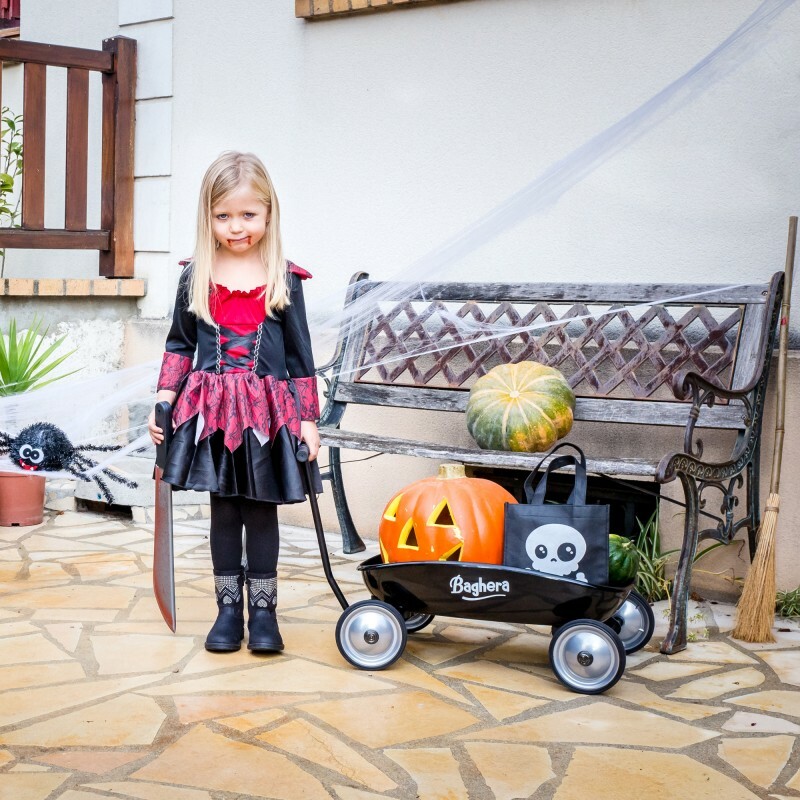 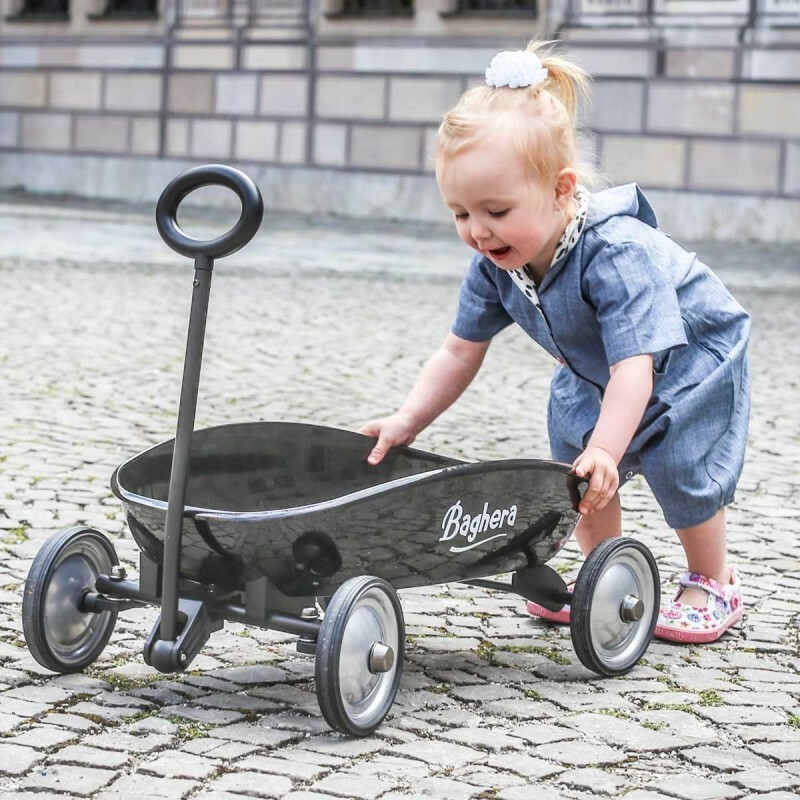 It has a long handle that folds up underneath the wagon so that it can be stored more easily and is a versatile and essential toy for those children who love going on walks or spending time in the garden!